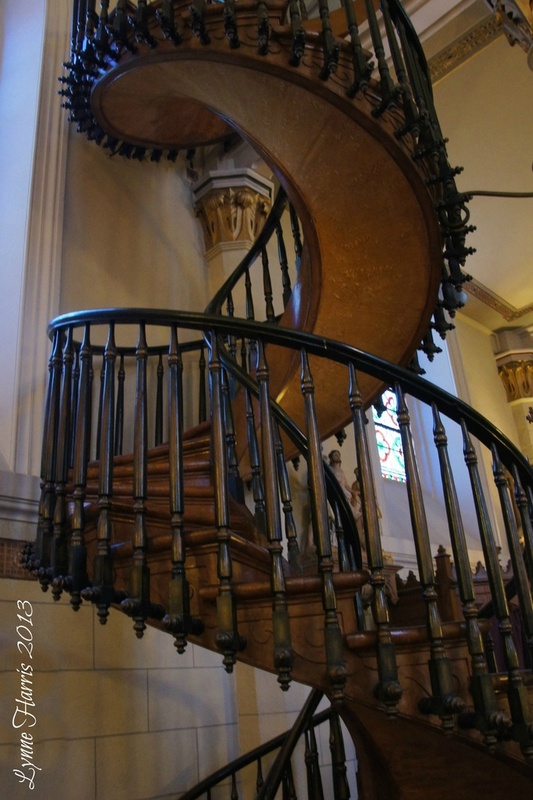 This is the spiral staircase in the Loretto Church in Santa Fe, NM. It was carved as a stairway with no nails. Pretty amazing. Love this stairway, great capture of it. A lovely staircase. Nice POV. Wow. Now that is craftsmanship. Lovely shot Lynne. @alisonp @sansjuan @grannysue @twr @kiwiflora @roachling @timrox Thanks, everyone, for your views and comments. I really appreciate it. I've had limited access lately so am doing good to get a pic posted; much less leave comments so I apologize if I have not been commenting. Awesome stairway, beautiful details here! Wow what an amazing staircase, love the POV Lynne.